Dogs are among the most faithful creatures living on the Earth. Due to this trait, they have been living among humans since there creation. People keep these for different purposes. Some dogs are very energetic and dangerous and are kept for security purpose. Some are very agile and strong and are used to pull carts on snows. Some are very playful and like large toys and are kept for playing with little children. They are very intelligent and due to their high sense of smell are used to trace out the theft. The dogs are a little different with respect to the area where they live. 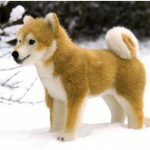 For example, Siberian huskies are the dogs that live only in extreme cold environment. 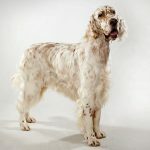 Since their origin, English setters have been passing through various changes. Researchers created their developed forms through cross matching. However, some main traits are still the same inherited from ancestors. 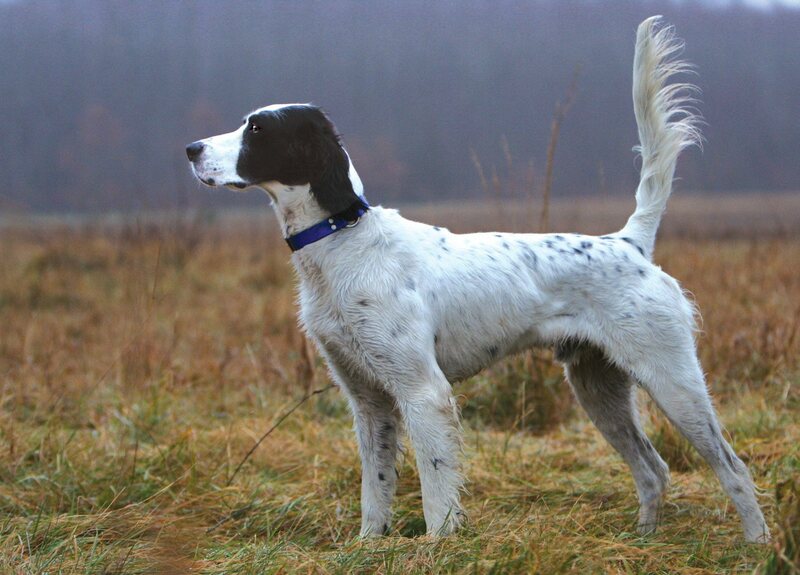 English setters are the most beautiful and agile dogs kept for hunting. These are mostly long and lean and have an oval shaped head. These are usually white in color with brown or black dots all across the body. 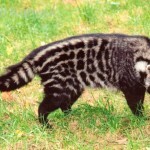 These are very athletic and have long fur all across their body. These have wide nostrils and large, round, and dark brown eyes. Due to their athletic nature, these are still kept for the purpose of hunting. 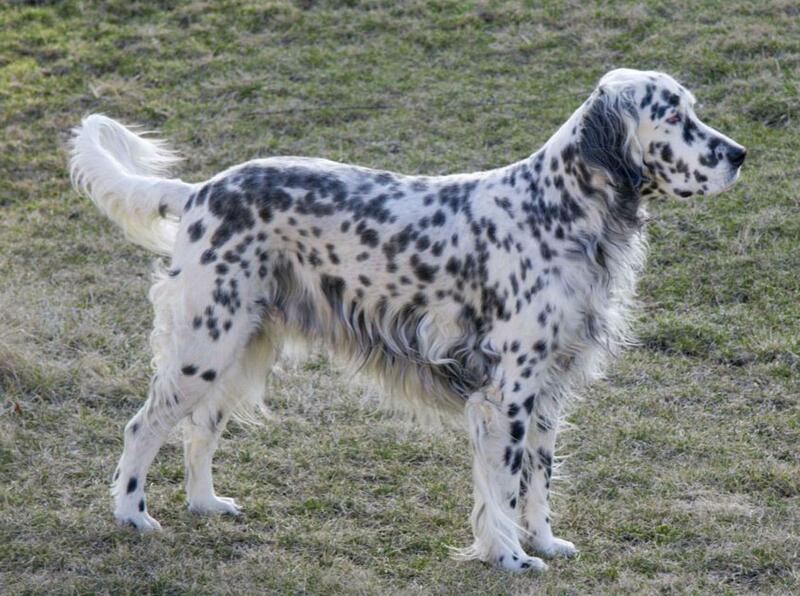 English setters are very beautiful in appearance with long fur over the body. These are medium in size with large and hazel eyes and medium ears. There are long hairs on their legs, ears, and tail. The males are usually 25 to 27 inches tall with weight ranging between 65 to 80 pounds. Whereas, females are 23 to 25 inches in height and their weight ranges between 45 to 75 pounds. 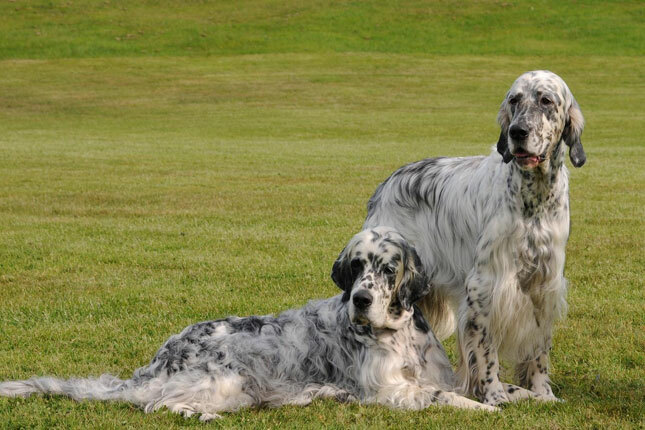 English setters are said to have their origin from France some 400 to 500 years ago. They were used to point and achieve the target. 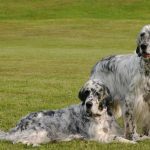 They were named as English setters in the 19th century when Edward Laverack and Purcell Llewellin cross matched some of their breeds and were successful in creating a special hunting strain of these dogs. 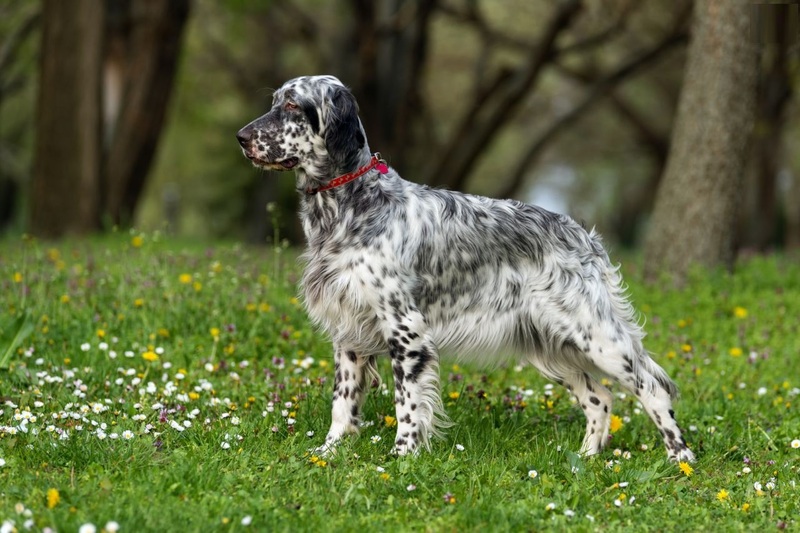 English setters are mostly gentle in behavior and, therefore, are not recommended as watch dogs. Their tendency to bark at humans and other creatures is low. These are agile and playful and like to walk along the way with their master. These are very friendly to children also and need regular interaction. 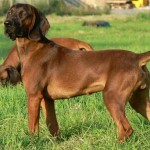 They are also very sensitive and, therefore, need an authoritative, calm, and confident owner. 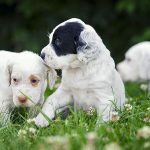 They like to play with other dogs and should be trained at an early age to abstain developing bad habits. These dogs are very affectionate and love to receive and give affection. The health of all the dogs depends a lot on their diet. 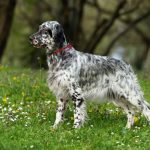 English Setters are also like other dogs so far as their diet is concerned. As these are very energetic and playful, these should be given some quality diet. The diet should be a balanced one to maintain their energy level. Usually, 20 to 3 cups of dry dog food should be given to them in a day. This should be equally divided into two meals. The amount of diet varies also with their weight, size and activities. 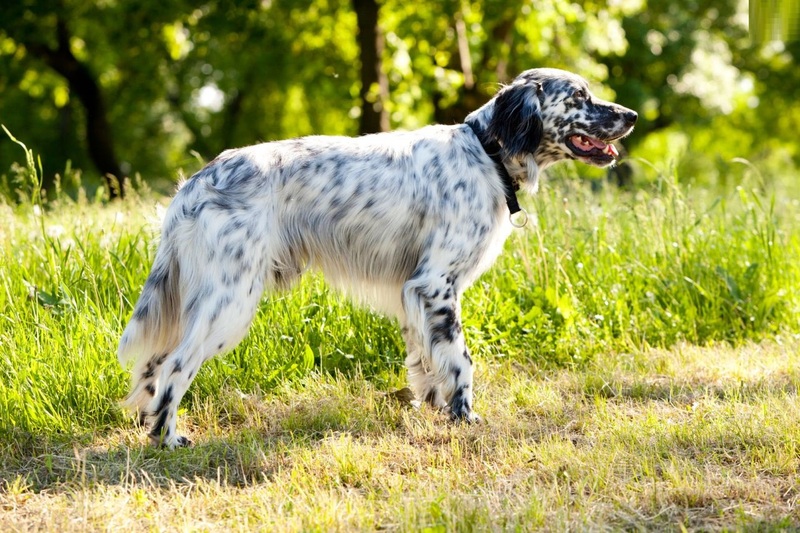 English setters are normally considered healthy dogs and are less prone to diseases. However, if proper care is not taken in their feeding, they can also suffer from diseases like other dogs. Carelessness may suffer them into diseases like dysplasia, hypothyroidism, deafness, and epilepsy. Dog experts suggest that they should be given food a fix times and not always. This is because over eating increases their weight and they begin to suffer from diseases. 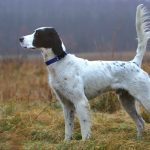 The real beauty of these dogs lies in their thick fur on the ears, chest, legs, and belly. 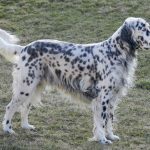 If these dogs are groomed properly, they may have a stunning coating. To make it look gentle, it is recommended to brush their fur after three days. But if brushed daily, the results may be more charming. These dogs should be bathed after five to six weeks to keep away the bad smell. 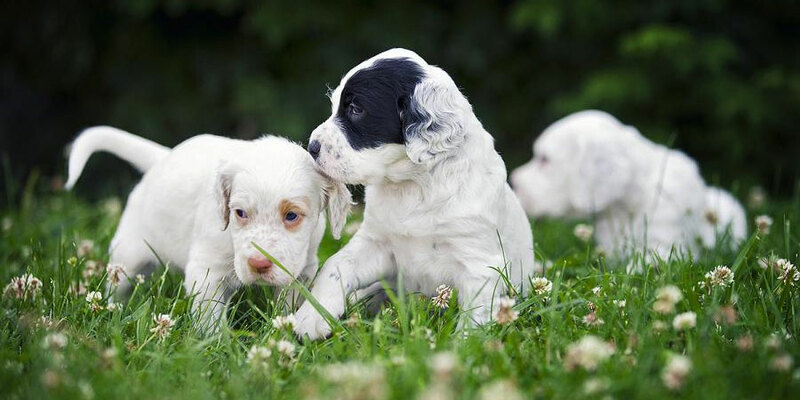 The floppy ears should be cleaned weekly to prevent these from infections. The teeth should also be brushed regularly after every two days. Most dog die of infections in their teeth, therefore, cleaning teeth should be at top priority. Their nails should also be trimmed regularly for their safety and also the safety of children playing with them. During grooming, note the little rashes, redness in skin, tenderness, and inflammation. If any of such problems is found, take it to the doctor and get a proper treatment for these. 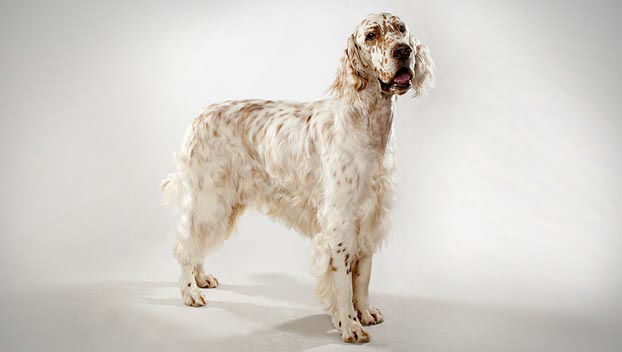 English setters are known for long and thick fur on their bodies; therefore, they are prone to shedding. Always be prepared for the hairs in the home at almost every spot. However, it can be controlled to some extent by regular combing of the hairs. 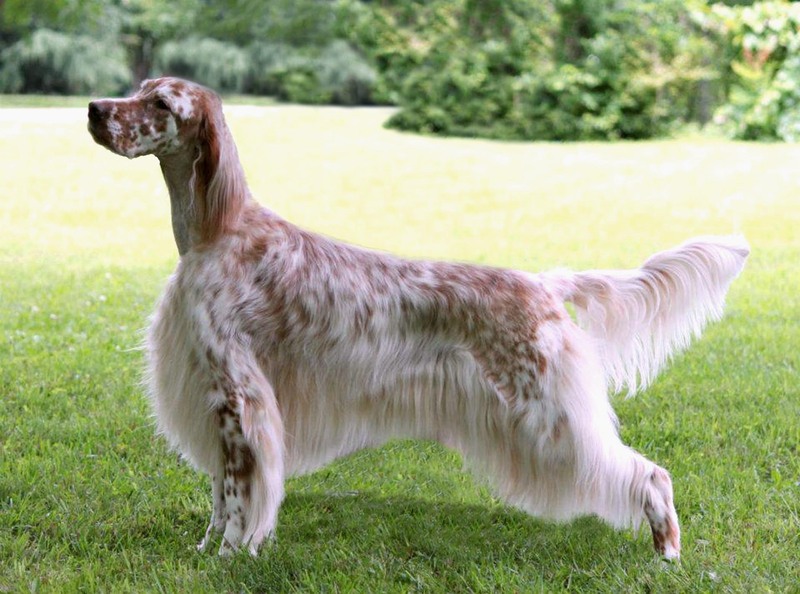 English setters are often differentiated from other dogs in their particular characteristics. They inherit these characteristics from their ancestors. 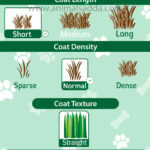 Following are the main characteristics of these dogs. 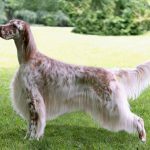 All the types of English setters need a lot of exercise. These like running and fetching gadgets. 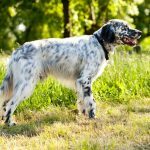 These dogs are usually stubborn in nature and can be controlled only with consistency. They have friendly nature and play with children and other dogs. They need company and feel bored if left alone for considerable long time. These are extremely alert dogs and can be used as watch dogs in certain conditions. 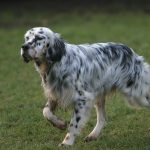 Breeding English setters is not an easy task as they require a lot of exercise and companionship. If you are a regular exercising person, these are suitable for you. These cannot be left alone for a longer time because of their need for companionship. These dogs have a medium life span like many other dogs. These usually live for 10 to 12 years. However, if intensive care is taken in diet and exercise, these can live up to 14 years. 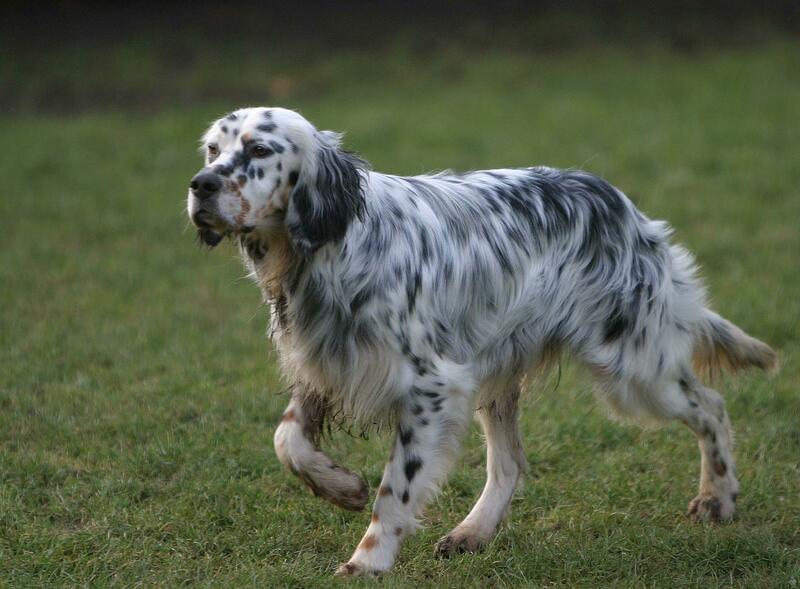 To conclude, it can be said that English setters are one of the most agile, lovely, and playful dogs on the Earth. They need regular exercise, and quality food to keep them healthy.